So, here it is. Summer vacation. The big sleep in. The major hang with the BFFs. And guess what? Drum roll, please. My parents have already wrecked my entire life if not my entire summer. You’re both the gift that keeps on giving. (Seriously, I’m not just being overly dramatic here although I am 16 going on 17 and my entire life is punctuated by an exclamation mark. New sentence: !!!!!!). I guess I should introduce myself. 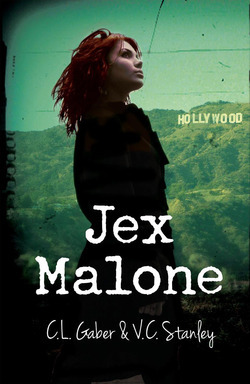 I’m Jex Malone. Nice to meet you, too. The stats are as follows: I’m a junior at Kennedy High School in the great state of New Jersey and I have just about the most messed up family life on the planet. Wait, I think I have the most messed up family life in the entire solar system. My mother, the vegan, carrot hugging, kale loving archeologist, is the overly protective type. My father is the big, brooding, hang your bod off a building, danger loving homicide detective. They got divorced when I was three (drama!) and concocted some wacko child custody agreement where Dad could visit me in Jersey, BUT (and here is the bad part – for moi), he gets to have me for entire summers once I turn 16. This means I have to leave my friends and all those tasty vegan meals in Jersey and go live with my junk food loving, Pop Tart eating father in Henderson, Nevada where temps reach 120 degrees. By the way, Mom is worried that Daddy-O might get me shot or something because he busts really bad criminals. Shot plus overly hot temperatures with my long, frizz prone red hair equal a very bad summer vacay. I can already see my report on how I spent my summer vacation: Hung with Dad, busted some killers, and then went to get the Early Bird special at the local TGIF’s. The truth is I don’t even know if my Dad likes nachos or wings. We’ve spent a total of about 20 hours with each other my entire life. When I was 15, he sent me an American Girl doll for Christmas. Enough said, except that he doesn’t even have half a clue. On June 1, I have a court order delivered by a really cute UPS guy that mandates that I’m, like, legally required to be a prisoner of Dad’s house for an entire freakin’ summer. Of course I’m freaking out. Drop me a line about how you plan to spend/live through your summer vacation. Rumor is my Dad doesn’t have cable TV at his house, which is why I’m packing a bunch of girl detective novels and my laptop to talk to you guys. Excuse me while I go chomp on a carrot and cry my eyes out!! !